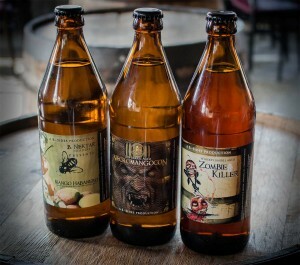 Bottle releases are in the TAPROOM, Friday May 27th! New flavors for YOU! 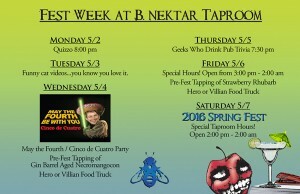 B. Nektar will be in Chicago – Thursday, May 19 for the Hop Head Farms Hopleaf Tap Takeover! 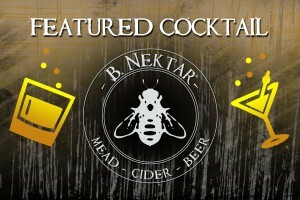 B. Nektar’s 2016 Spring Mead Fest week is upon us! Check out what we have planned for you!